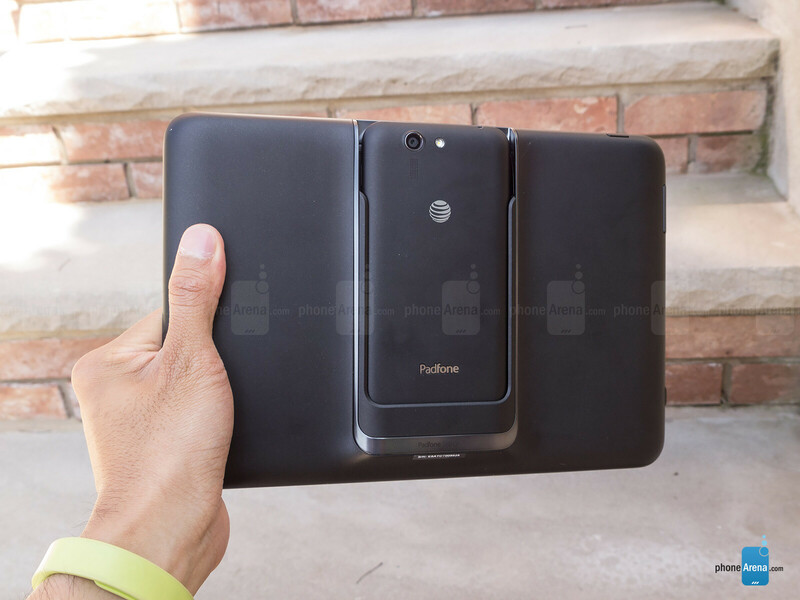 Wow, that certainly took an extensive amount of time, but Asus’ long withstanding PadFone line has finally arrived stateside courtesy of AT&T. 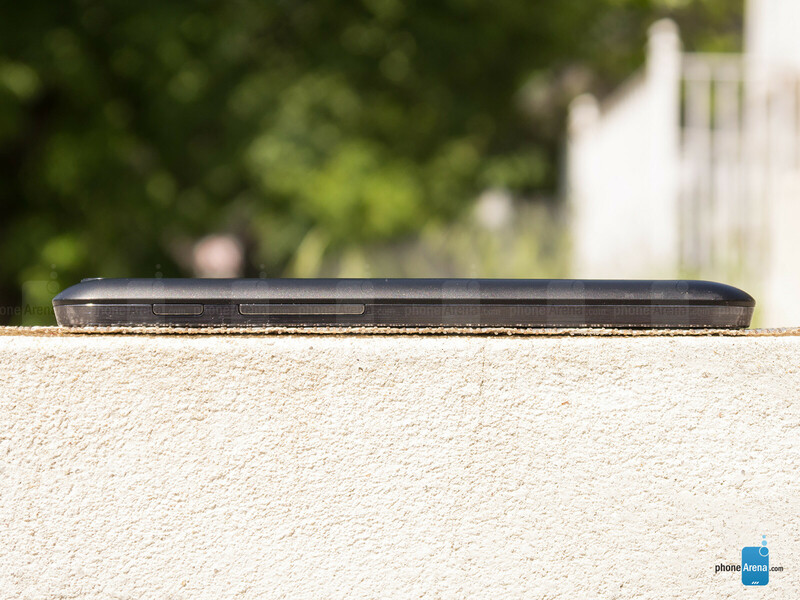 Although it’s a smartphone at its core, the Asus PadFone X is unique for its ability to instantly transform into a versatile 9-inch tablet – giving it a useful dual-functionaly, which is undoubtedly its key selling point. Before its anticipated release date, many folks have been questioning the device’s potential due to its undeniably late arrival. First announced back during CES 2014, it’s just now that it’s coming to light, where it’s facing some seriously stiff competition. It’s a smartphone that can transform into a tablet, but the design lacks any evolutionary elements. 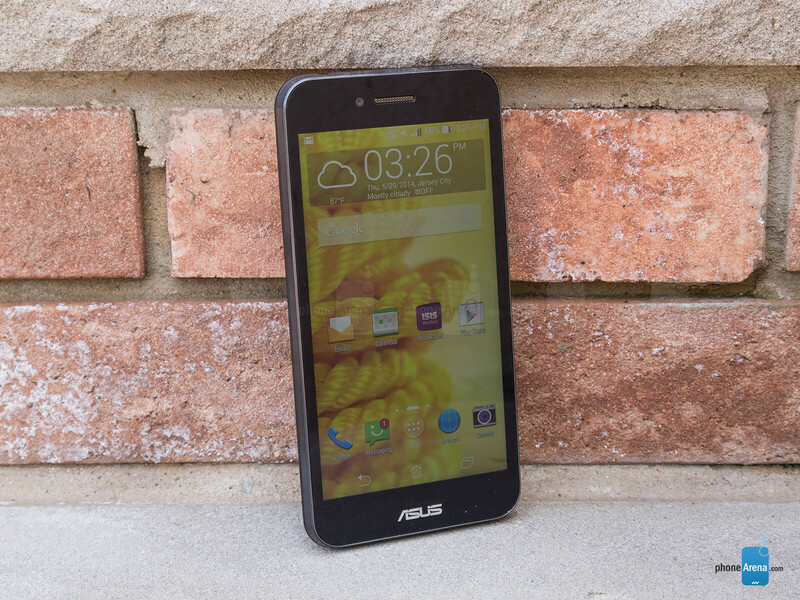 This isn’t Asus’ first stab at the PadFone line, seeing that the original first-gen PadFone debuted back in 2011. Bearing that in mind, we’re a bit perturbed to see that nothing profound has been done to move forward the design of the Asus PadFone X. 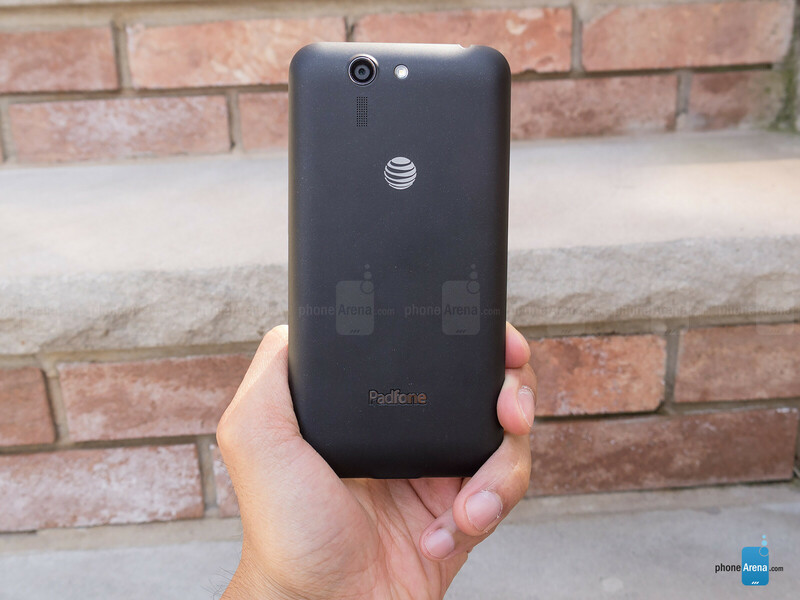 Instead, what we have here is your generic looking, minimalist styled smartphone that doesn’t scream anything tantalizing with its plastic construction. Despite that, it’s at least fairly comfortable to hold in the hand. 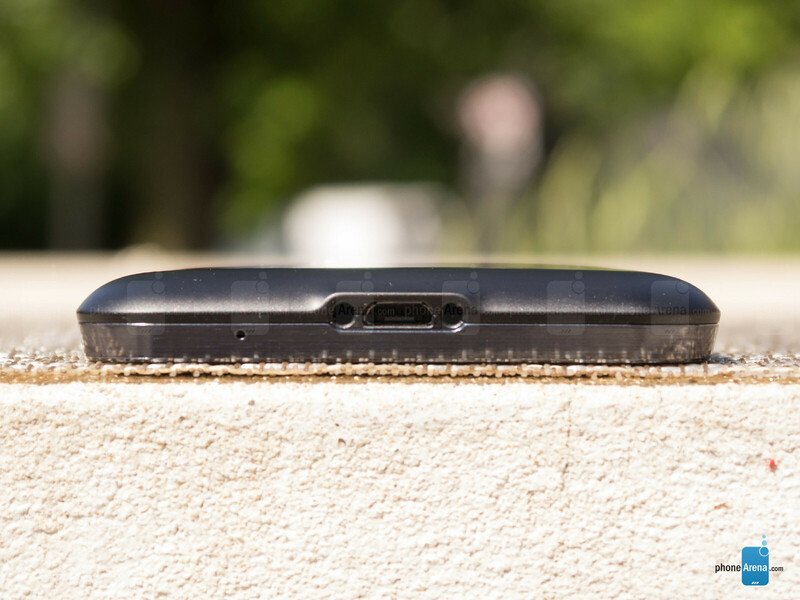 Around the sides of the phone, we find the usual assortment of ports of buttons – these include its power button, volume control, microphones, 3.5mm headset jack, and a microUSB port. In the rear, it packs along a sizable 13-megapixel “PixelMaster” camera that features an f2.0 aperture lens, LED flash, and 4K video recording. Meanwhile, the front-facing camera is a 2-megapixel snapper. Rounding things out, removing the back cover grants us access to its SIM and microSD slots. The 9-inch tablet dock that accommodates the smartphone doesn’t try to hide its girth and size. Due to the immense bezels surrounding the 9-inch Full HD display, it makes the tablet look and feel more like a 10-incher – not to mention, it’s an eyesore as well. Luckily, the phone easily slides into place in the rear of the tablet dock, which also happens to charge the phone. Looking at the design of the tablet dock, it obviously mimics that of the smartphone, but hey, at least it’s not a complicated process getting the phone into place. 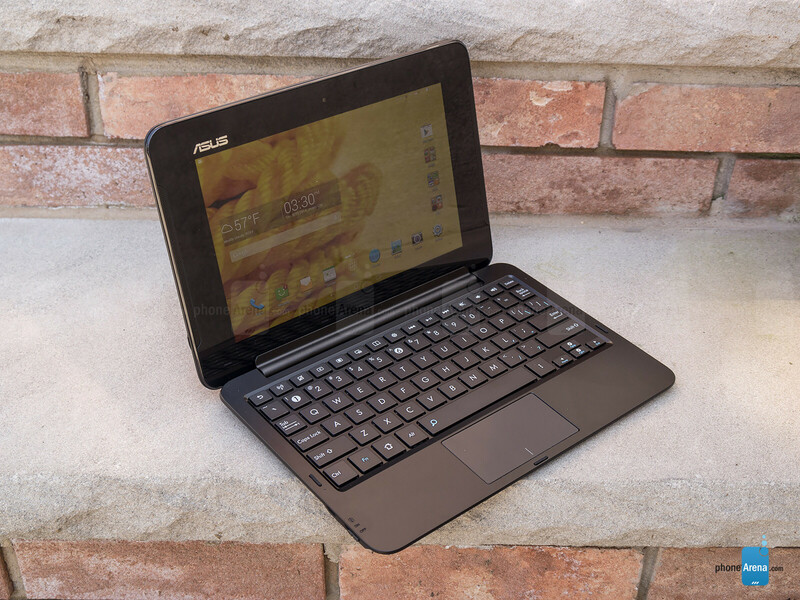 Are you looking to get even more flexibility from the Asus PadFone X? Well, Asus also sells an optional keyboard dock that gives the entire thing yet another convertible aspect to its design. Unfortunately for this one, it’s a step behind the other keyboard docks we’ve seen put out by the company. In particular, this Bluetooth enabled keyboard is extremely weighty – heavier than the tablet dock itself. Additionally, seeing that there are no docking connection ports on it, the tablet can easily be dislodged while it’s in position. One of the most color accurate displays in recent memory. Specs wise, the Asus PadFone X’s 5-inch 1080 x 1920 IPS LCD doesn’t scream next-gen, but rather, it’s on the same level as its rivals. Details are naturally good, especially with its pixel density count of 441 ppi, so that fine text in the browser is sharp and distinct. However, with its brightness output of 366 nits, it proves to be challenging to view outdoors as we’re in direct view of the sun. When it comes to quality and accuracy, the display here is arguably one of the most accurate. First and foremost, its color temperature of 6720 K gives the display a neutral look – where it’s neither on the cooler or warmer side. Most impressive is the color accuracy of the display, which is impeccable for being spot-on with nearly every color, including the various gradient levels. And lastly, this IPS LCD panel delivers viewing angles that don’t distort. It’s not a mighty display in the greater scheme of things, but hot damn, it’s without question one of the most accurate in recent memory when it comes to color reproduction. This isn't the top of the range padfone like the originals or the infinity series. It kind of falls between the infinities and the zenphones so it doesn't exactly have all the bells and whistles. I like the concept, but I don't want to exchange my current flagship smartphone ;) What I need is a tablet dock made for my device!